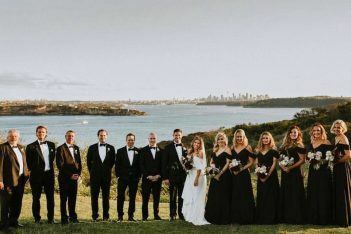 Milestone Events is a boutique venue located in the beautiful and historic Barracks Precinct of The North Head Sanctuary. Located just five minutes from Sydney’s famous Manly beach, but will make you feel a million miles away. The unique 1930’s art deco building is nestled amongst the native flora and fauna of the Sydney Harbour National Park. Inside this beautiful building you will find high ceilings, matched with stunning wooden floors, an original art deco bar, the perfect size ballroom and the relaxing cane lounge. Our ballroom can comfortably seat up to 180 guests, and can accommodate 300 guests for stand up events, while still having room for a dance floor. We also have rooms where we can cater for a more intimate setting. Our stunning venue offers brides and grooms both ceremony and reception options both indoor and outdoor. The 5-hour food and beverage packages are pretty well fully inclusive. 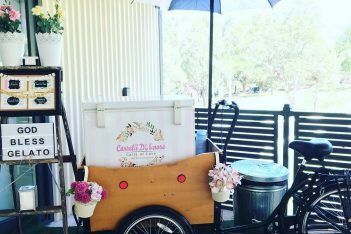 Our Milestone Events exclusive outdoor gardens are perfect for any wedding ceremony or if you are looking for that perfect view of Sydney Harbour in all its glory the Memorial Lawn is ideal, just a 7 minute walk away from the 1930’s venue. With abundant free car parking at both locations, spectacular photo options and the personal touch from the Milestone Events team it is a truly wonderful place for your special day. When you come and visit the beautiful Milestone Events, mention that you are a “WedShed” client and receive a package upgrade. Milestone Events is a family business offering an intimate personalized wedding service, comprising, husband and wife, Miles and Chef Marion Jane, and their daughter Tessa. Having been in the food business their entire lives, it is their absolute passion, Finding the highest quality and freshest sources of food is a huge part of what makes their wedding venue so wonderful.. Understanding that each couple is so different and have their own unique, style and vision and being a small business gives them the flexibility to chop and change to make your wedding day perfect to you. Miles is the all rounder, he deals with all the behind the scenes “stuff”, drives the brides and grooms around in his Tarago Limousine, parks cars and pours beers. He has more dad jokes than you can ever imagine and his knowledge of the wedding and catering industry (and everything else) is outstanding. Chef Marion Jane, growing up in small town New Zealand and moving to Sydney in the 80’s, she has loved food forever. Her ability to create beautiful menus and put them on your plate and make them so delicious is a really special quality. You can taste the home cooked feeling mixed with 5 star luxury. Tessa, our very own venue manager, wedding planner, florist and the “boss”, she is there to help all the brides and grooms every step of the way. Staying on top of the forever changing wedding trends as well as bringing her own ideas, makes the wedding planning process fun and seamless. The rest of the Milestone Events team is made up of chefs and kitchen hands to wait staff and bar managers, that have all been part of the team in one way or the other for the past 20 years. All team members take such pride in offering a very personal and professional service.